CraftHaus plans on having releasing their International Women’s Collaboration Brew Day beer, United Red Ale, in their taproom on Sunday, April 12th starting at noon. Unrelated to IWCBD but as an added bonus, they will also have a new beer being tapped as well: a Belgian golden strong ale named Jean Claude. 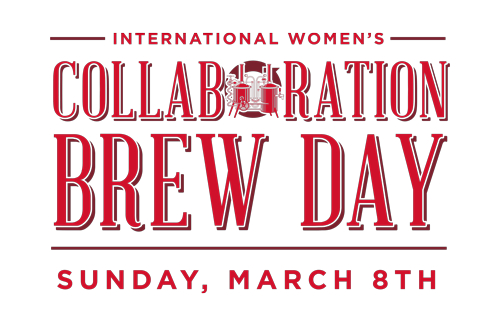 What is International Women’s Collaboration Brew Day you ask? IWCBD is an event organized by Pink Boots Society to coincide with International Women’s Day, which occurs every year on March 8th. The idea behind IWCBD is that breweries across the world will all brew a collaboration beer with women brewers and beer professionals. This year, the collaboration beer was United Red Ale. All participating brewers are given some beer guidelines to follow in regards to style and hops used, however they are encouraged to create their own unique variation of the beer. Locally here in Las Vegas, CraftHaus employs the state’s only female head brewer, Steph Cope. This year, Steph collaborated with various other women who also work locally within the beer industry. They tweaked the recipe to be inspired by our local desert by adding a combination of mesquite, cherrywood, and oak smoked malt. United Red Ale will be a smokey malt forward red ale with an earthy/piney hop character. Pink Boots Society is a worldwide non-profit organization that seeks to inspire, encourage, and empower women beer professionals to advance their careers through education. In addition to raising awareness through events like IWCBD, Pink Boots Society provides education for women to further their careers by providing seminar programs and raising money for educational scholarships. All proceeds from all IWCBD beers worldwide will be donated to both Pink Boots Society scholarship funds, as well as a local women focused charity chosen by each breweries. Here in Las Vegas, Dress For Success will also be receiving proceeds from the CraftHaus United Red Ale beer. Dress For Success of Southern Nevada’s mission is to promote the economic independence of disadvantaged women by providing professional attire, a network of support, and career development tools to help them thrive in work and in life. In celebration of both International Women’s Day and International Women’s Collaboration Brew Day, you can donate to Pink Boots society here and Dress For Success of Southern Nevada here. Additionally, if you are a woman who works within any of the various tiers of the beer industry, please feel encouraged to sign up for Pink Boots Society here. Hope to see you all at Crafthaus on the 12th!